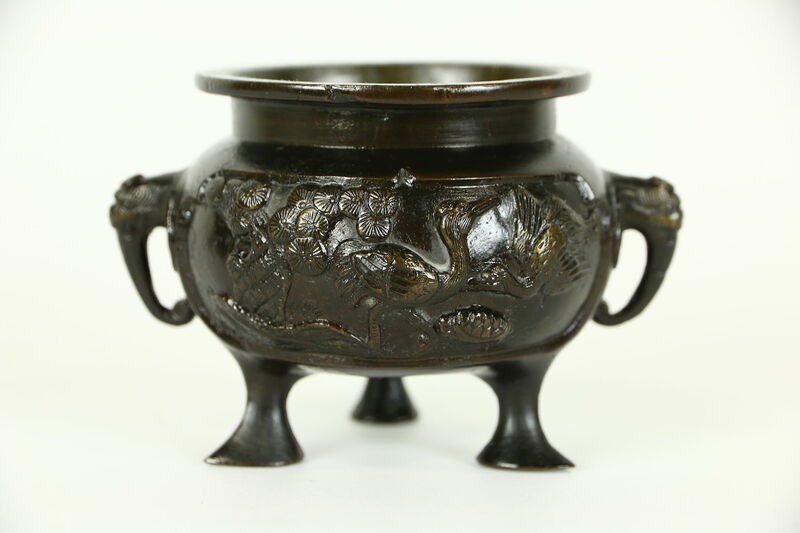 A traditional Chinese urn shaped incense burner is cast bronze with a very dark patina. Bird and elephant head motifs are embossed on this antique pot. Size is 4 1/2" across and 3" tall.